Leistung Autohaus proudly serves as Orange County’s preferred independent repair facility for all Mercedes-Benz automobiles. Customers come to Leistung Autohaus for everything from repair and restoration work on classic Mercedes, to routine maintenance on the latest models, including AMG cars. 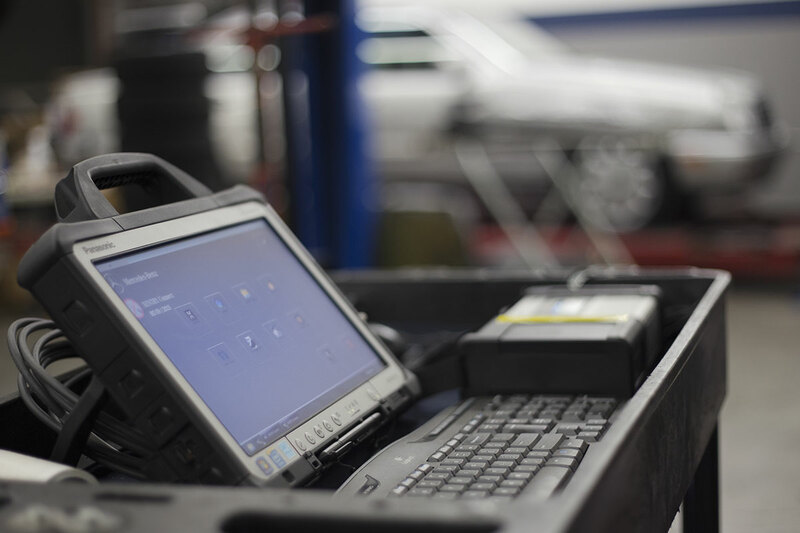 With the latest Xentry® diagnostic equipment and over 15 years of automotive experience under our belts, we have the tools needed to get you and your car back on the road, fast. We use authentic Mercedes-Benz and quality OEM parts, ensuring your car works and drives like a Mercedes-Benz should. Straightforward service pricing with no hidden costs are published on our Services page, so you always know what you’re getting before you even bring your car in. Matt did a quick and excellent job; my car was ready in 2 days. I highly recommend coming here. My 28-year old Mercedes-Benz drives fantastic with the new tie rods, drag link, steering box, and big brake upgrade. Thank you Leistung! Matt provided my Mercedes C300 with an A service, was timely, efficient, and courteous. We’re open Monday – Friday, 9am to 6pm and Saturday by appointment. Please contact us for a quote or to make an appointment.